After testing 15 vehicles, the 2016 Civic was presented the AJAC Award for Best New Small Car by over 70 of Canada’s top automotive journalists. During the four days of rigorous testing, the Civic earned top marks in styling, cargo capacity, performance, quality, and fuel economy. We pulled out all the stops redesigning the 2016 Civic, and it’s definitely paid off. KBB.com. Kelley Blue Book is a registered trademark of Kelley Blue Book Co., Inc.
Not only did the Civic win the 2016 Small Car Best Buy Award, it also took home the 2016 Overall Best Buy Award. KBB.com selected the Civic for its newly redesigned exterior and interior, updated technology and improved performance. Plus, having a reputation for excellent fuel economy and resale value didn’t hurt. After the testing was done, KBB.com stated the Civic is “the most sophisticated yet and will leave competitors scrambling to catch up.” We couldn’t have said it better ourselves. See Overall Best Buy for complete details. See Best Buy: Small Car for complete details. Canada’s best-selling car for 17 years in a row is also one of the safest. Receiving a top rating of GOOD in five crash test modes, the 2015 Civic was named a 2015 Top Safety Pick from the Insurance Institute for Highway Safety. Safety has long been one of Honda’s core values, and we’re proud to continue putting Canadian peace of mind first. 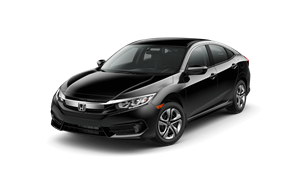 Factoring in frontal crashes, side crashes and rollover, the National Highway Traffic Safety Administration listed the 2015 Civic Sedan among this year’s 5-star overall safety rating recipients. Safety has always been one of Honda’s top priorities, and we’re proud to lead the way with innovative features like the Next Generation ACE™ body structure and Vehicle Stability Assist (VSA®) with Traction Control. Factoring in frontal crashes, side crashes and rollover, the National Highway Traffic Safety Administration listed the 2016 Fit among this year’s 5-star overall safety rating recipients. Safety has always been one of Honda’s top priorities, and we’re proud to lead the way with innovative features like the Next Generation ACE™ body structure and Vehicle Stability Assist (VSA®) with Traction Control. The Fit doesn’t just pack a lot of cargo, it’s also packing another big honour. Le Guide de L’Auto awarded the Fit as the best subcompact car of 2016. The Fit earned high marks in fuel efficiency, reliability, safety and well, everything they tested on. Plus, it bested seven other models in its class. We couldn’t be more proud. After 60 months, the Fit holds the highest resale value within its class. 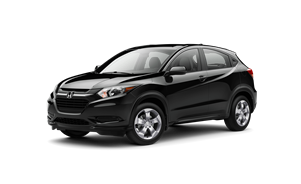 Praised for its impressive fuel economy, versatility and fun-to-drive performance, this Honda is proof that a subcompact can be big on value. 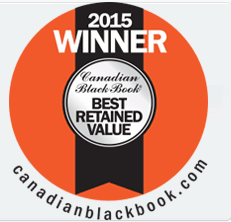 Demonstrating Honda’s commitment to quality, the Fit has been awarded a 2015 Best Retained Value award from Canadian Black Book. For the fourth year in a row, Fit has claimed the top spot in the subcompact segment because of its ability to retain the highest percentage of its original MSRP. Receiving a top rating of GOOD in four crash test modes, the 2015 Fit was named a 2015 Top Safety Pick from the Insurance Institute for Highway Safety. Safety has long been one of Honda’s core values, and we’re proud to continue putting Canadian peace of mind first. The 2015 Fit has been honoured by Edmunds.com as a Top Rated Vehicle. Before receiving a coveted “A” rating, the Fit was driven by Edmunds.com on a standardized road-test loop and visited Edmunds.com’s test track for instrumented testing in controlled conditions to grade how it stacked up against its direct rivals in its size and price class. Vehicles that earn an “A” rating receive receive an Edmunds.com Top Rated Award. The 2015 Fit is one of seven Honda vehicles to have received an Edmunds.com Top Rated award. 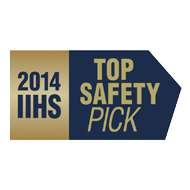 The 2015 Honda Fit was recently named a 2014 Top Safety Pick by the IIHS. In order to receive this distinction, a vehicle must achieve the highest possible rating on the moderate overlap front, side, rear and rollover tests, as well as good or acceptable ratings in the small overlap front test. Dedicated to enhancing protection for everyone on the road, the 2015 Honda Fit is proving that its commitment to safety parallels its commitment to providing legendary value. Our commitment to durability, quality and reliability was recently recognized by Edmunds.com. The online automotive authority honoured the Honda brand with the 2014 Best Retained Value® Non-Luxury Brand Award. High retained value allows Honda customers to maximize their vehicle’s worth at trade-in or sale. And for those who lease, resale value is a key factor in determining the monthly payment. Factoring in frontal crashes, side crashes and rollover, the National Highway Traffic Safety Administration listed the 2016 Accord Sedan among this year’s 5-star overall safety rating recipients. Safety has always been one of Honda’s top priorities, and we’re proud to lead the way with innovative features like the Next Generation ACE™ body structure as well as available Honda Sensing™ technologies like Collision Mitigation Breaking System™ and Lane Keeping Assist System. Factoring in frontal crashes, side crashes and rollover, the National Highway Traffic Safety Administration listed the 2016 Accord Coupe among this year’s 5-star overall safety rating recipients. Safety has always been one of Honda’s top priorities, and we’re proud to lead the way with innovative features like the Next Generation ACE™ body structure and Vehicle Stability Assist (VSA®) with Traction Control. Also comes with the luxury of feeling safe. For receiving a top rating of GOOD in five crash test modes and a SUPERIOR rating in front crash prevention, the 2016 Accord was named a 2015 Top Safety Pick+ from the Insurance Institute for Highway Safety when equipped with optional front crash prevention. Safety has long been one of Honda’s core values, and we’re proud to continue putting Canadian peace of mind first. See Kelley Blue Book for complete details. See Car and Driver for complete details. Receiving a top rating of GOOD in five crash test modes, the 2015 Accord was named a 2015 Top Safety Pick from the Insurance Institute for Highway Safety. Safety has long been one of Honda’s core values, and we’re proud to continue putting Canadian peace of mind first. Factoring in frontal crashes, side crashes and rollover, the National Highway Traffic Safety Administration listed the 2015 Accord Coupe among this year’s 5-star overall safety rating recipients. Safety has always been one of Honda’s top priorities, and we’re proud to lead the way with innovative features like the Next Generation ACE™ body structure and Vehicle Stability Assist (VSA®) with Traction Control. Factoring in frontal crashes, side crashes and rollover, the National Highway Traffic Safety Administration listed the 2015 Accord Hybrid among this year’s 5-star overall safety rating recipients. Safety has always been one of Honda’s top priorities, and we’re proud to lead the way with innovative features like the Next Generation ACE™ body structure and Vehicle Stability Assist (VSA®) with Traction Control. 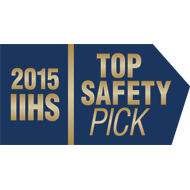 The 2014 Honda Accord family (Coupe, Sedan and Hybrid included) recently received 2014 Top Safety Pick Plus status, the highest safety rating available from the IIHS, when equipped with optional front crash prevention. To qualify for this distinction, a vehicle must achieve the highest possible rating in the moderate overlap front, side, roof strength and head restraint tests while receiving, as well as good or acceptable ratings in the small overlap front test and front crash prevention. Additionally, the vehicle must earn a basic, advanced or superior rating for front crash prevention. With its rich history in safety, the 2014 Accord is making a tradition of providing exceptional protection for its drivers. Our newest star gets a 5 star rating.